Working blacks in America’s urban centers are paying a heavy price for illegal immigration, a report said. Meanwhile the White House dismissed the uproar over its enforcement of existing immigration laws as a media-generated distraction. Media coverage of the ongoing congressional hearings following release of the Justice Department Inspector General report on the FBI’s handling of the Clinton email investigation has been light. 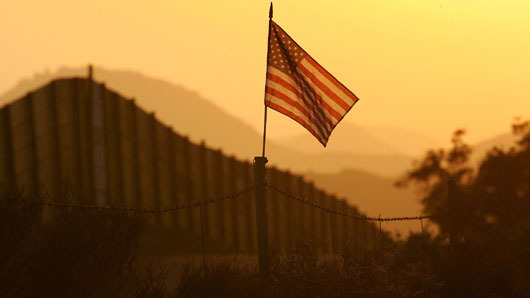 Illegal immigration in the U.S. costs $113 billion a year and urban blacks are paying taxes to fund free services for illegal aliens and then have to compete with the illegals for the same programs, said a report by Project 21 of the National Center for Public Policy Research. Bar illegal aliens from accessing any public services, except emergency services. Terminate federal funding of any social service agency that provides non-emergency services to illegal immigrants. Prosecute providers and recipients who allow scarce federally-funded social services to be used by those who are in the country illegally. End states’ special programs for assisting unlawful immigrants, redirecting those funds to needy citizens. Meanwhile, the Department of Homeland Security (DHS) on June 19 issued a press release on its “zero-tolerance” immigration policy. “In recent days, we have seen reporters, Members of Congress, and other groups mislead the public” on the policy, the DHS release said. DHS also referred to major media reports that immigrants are housed in “inhumane fenced cages” or in an “ice box” as a myth.